Does winter is a voguish season for street style stars? Definitely! Today I will prove it! How? 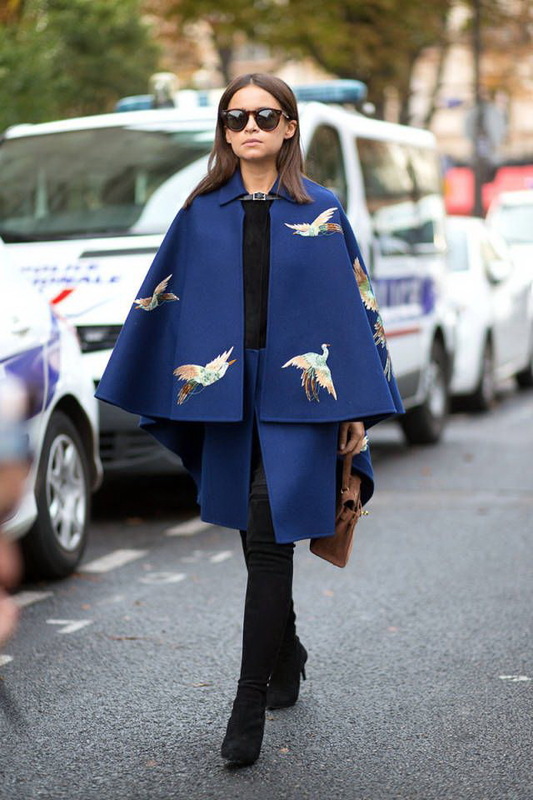 I've got 32 chic capes that are ideal for wearing in cold winter months. This outerwear garment is a perfect piece for showing off your layering skills and unique style. 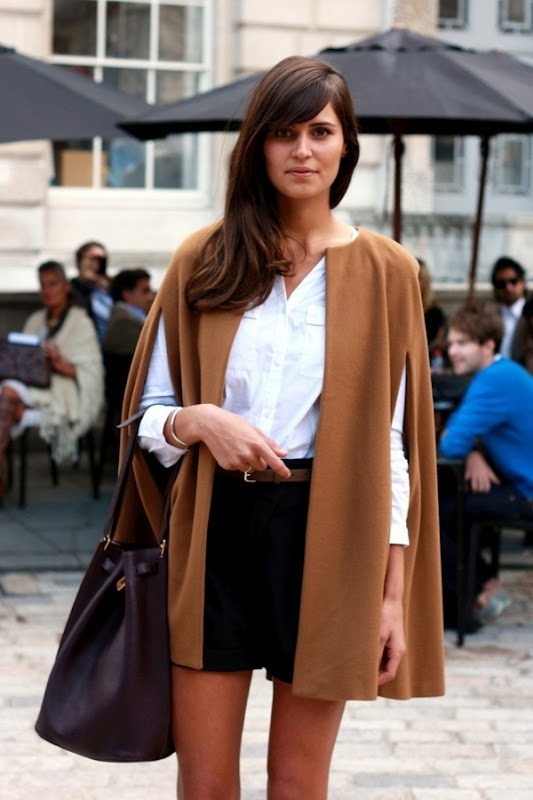 A dramatic cape is an ideal choice for finishing your one and only Fall season's look. I've went through web to find the best of the best designs. You are lucky to see voluminous cocoon silhouettes, A-line classics, dressy tailored shapes and timeless trench-capes. I am pretty sure these staples will bring you one step closer to superhero's look. 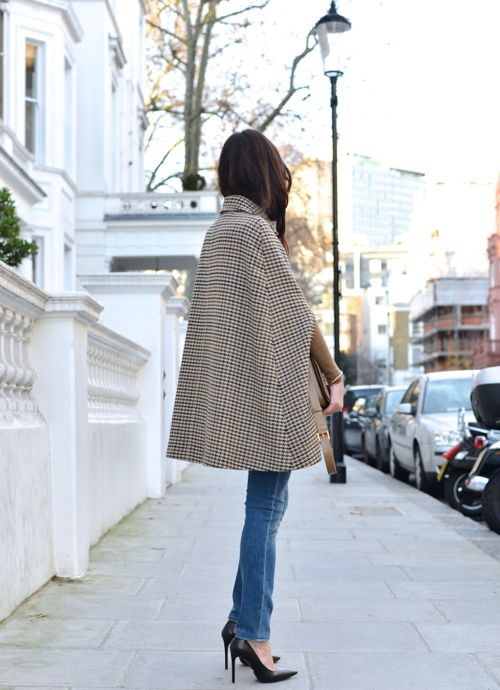 High-neck micro checked cape-coat looks retro inspired to me. You can wear it with cozy sweater, skinny jeans and spacious black leather handbag. No wonder why so many stylists are in love with this beautiful outerwear. Leave your parka at home and try something wonderful that will collect compliments and make everyone look at you. This is one of the easiest ways to enhance your beautiful outfit, without hiding it. 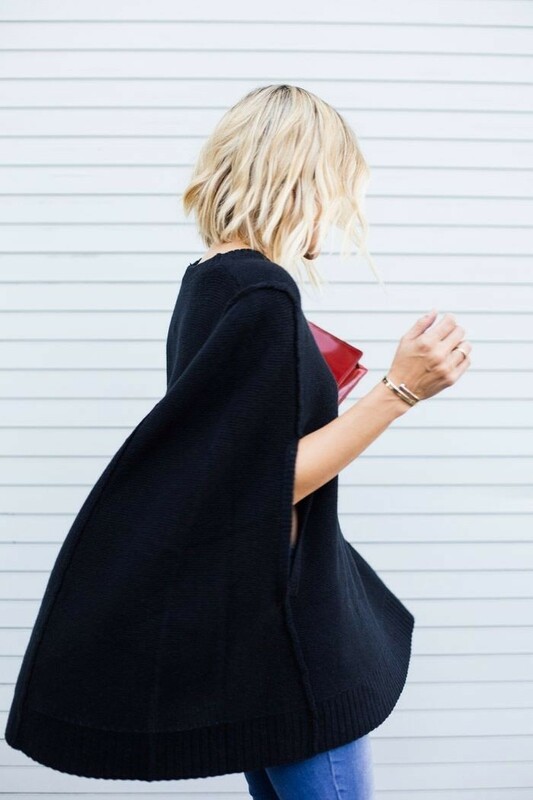 Personally, I think cape is like an oversized scarf that is draped around your body and shoulder making you look sophisticated and ultra feminine. The first reaction for any woman would be like: is this some kind of musketeer uniform? I adore this elegant topper for its versatility. The 1970's comeback is here and the capes are officially on their highest peak right now. There are lots of styles that look dramatic, casual, polished and boho inspired. I think every single fashionista wants to try them out.